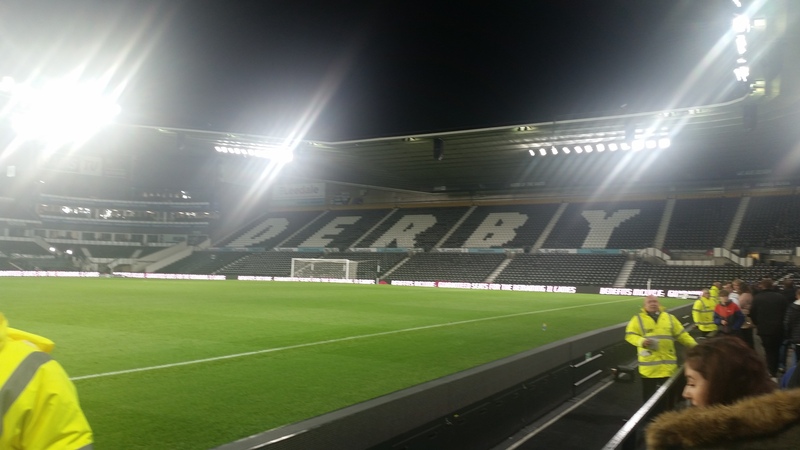 Best way to cross a league ground off is to do it when the youth are playing so off I went on the 40 mile trek to Derby to visit the Ipto stadium, formally Pride Park. 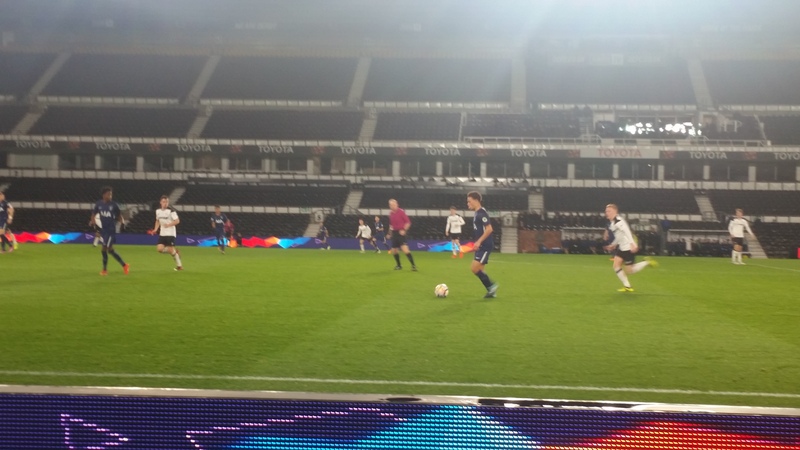 The under 23’s were taking on Tottenham. Both sides are fairly down the table being 7th and 8th respectively. The drive there wasn’t to bad and I did it in just under a hour. First impressions of the ground from the outside were that it looked grand with a restaurant and bar in the complex. Once inside it looked like any other ground really and all the supporters were kettles into a small area with few seats to spare and I was forced to sit at pitch level,something I rarely like to do. The one thing that struck me and rather annoyes me was there was way to much lighting, the lights on top of the stand opposite dazzled me and the electronic advertising faces the crowd to so I was further dazzled by whizzing advertising for Derby university etc. 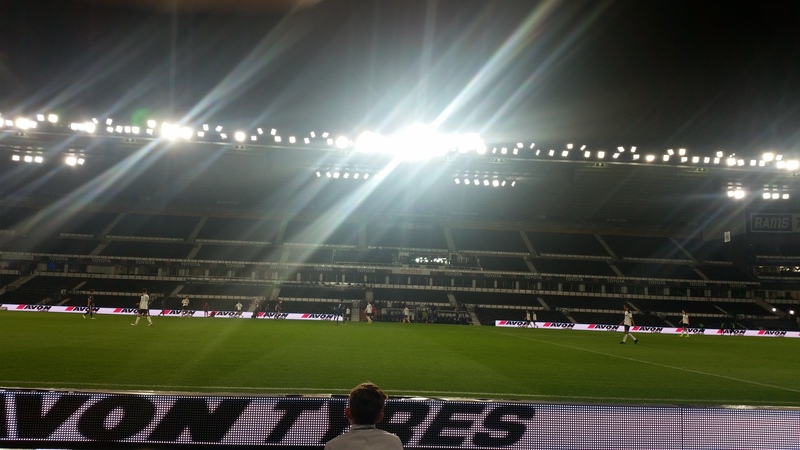 The game wasn’t great either, Derby were far better though and Spurs were very disappointing. The first half was dull and the man next to me retrieved a child’s bottle that dropped down, the lady said sorry, to which he said “don’t worry it’s the most exciting thing I’ve seen so far” which summed it up really. Only thing of note was when Spurs gave the ball away on the edge of the box and the County spooned it over. The second half was better, and County did get a goal, former Cheltenham Town player Luke Thomas hit a low shot from the right of the box and bounced off Austin in the Spurs goal. They also had a shot that was headed from danger by Tanganga . Spurs vest effort came from a free kick that was palmed away by Josh Barnes.